The Bavarian State Opera, founded in 1653 by Princess Henriette Adelaide of Savoy, is considered the oldest opera company north of the Alps. 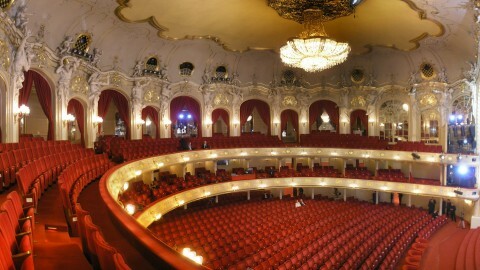 Performances are held at the National Theater (Nationaltheater München), the Prince Regent Theater (Prinzregententheater), and the Cuvilliés Theater (Residenztheater). All are worthy venues. The National Theater, with 2,101 seats, is the largest opera house in Germany. Though constructed in 1751, a great fire led to it being rebuilt in 1825, only to be destroyed once again during the Second World War. It reopened in 1963, and has remained so ever since. Meanwhile, the Prince Regent Theater, which opened in 1901, was constructed specifically for the great Robert Wagner. It now puts on one production a year during the annual Munich Opera Festival, which began in 1875 and is now one of the most important opera festivals in the world. The Cuvilliés Theater has a unique history of its own, and boasts a splendid rococo style. It also hosted the premiere of Mozart’s first mature opera, Idomeneo, in 1781. 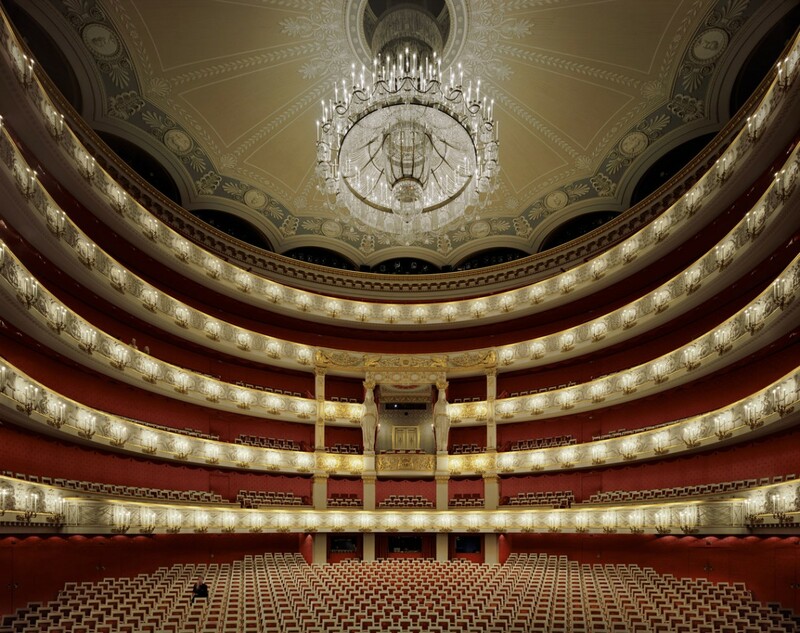 However, the Bavarian State Opera is perhaps known best for the opera directors who have been drawn to it. Richard Strauss, Clemens Krauss, Richard Wagner and Wolfgang Sawallisch have all staged performances here. The general directors are very reputable as well. Sir Peter Jonas became the general director in 1993, serving as the first British Intendant of any opera house in Germany. In 2008, Nikolaus Bachler became the new general director, and remains so today. The Bavarian State Opera is also known to be very technically advanced and innovative. Here, modernity is combined with the pomposity of King Ludwig’s reign. With attendance at 600,000 per year, performances numbering around four-hundred, and a single season featuring over thirty unique operas, it is abundantly clear that the Bavarian State Opera is among the most solvent, strong, and talented in the world. Kafer is the restaurant on the ground floor of the National Theater. It opens an hour before an evening performance. For other dining options, there are a number of other bars and buffets at the National Theater. Formal and elegant dresswear is expected. Opera Glasses can be borrowed for free, and obtained at the cloakroom. The Opera Shop, located near the Box Office, is a great place to buy souvenirs and annual programs. The Bavarian State Opera website has an English version. 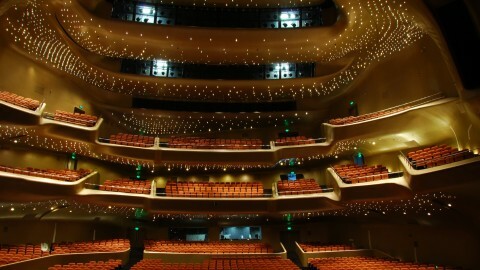 Tours of the National Theater are available daily, and begin at 2pm. 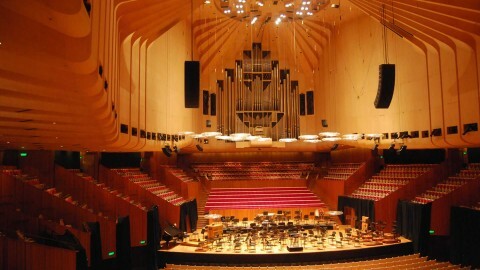 They last approximately one hour, and provide an intimate glimpse of the foyer and auditorium. To keep up to date with everything happening with the Bavarian State Opera, one can subscribe to their various newsletters by visiting their website. There is also an online forum, on the National Theater Website, which provides more information. Gift Vouchers are a great gift for a fellow friend and opera lover. They allow one to choose the performance he or she would like to see. For those in need of a hotel located nearby to the National Theater, the Cortiina Hotel, Louis Hotel, Hotel Splendid-Dollman, Gutshotel Schlossgut Odelzhausen, Hotel Munchen Palace, Hotel Prinzregent am Friedensengel, Mandarin Oriental, Hotel Bayerischer Hof, Hotel Vier Jahreszeiten, Hotel Opera, and Platz Hotel, are all excellent choices.